The following story was written by the FACES Foundation Goodwill Ambassador, Chris Dickey. 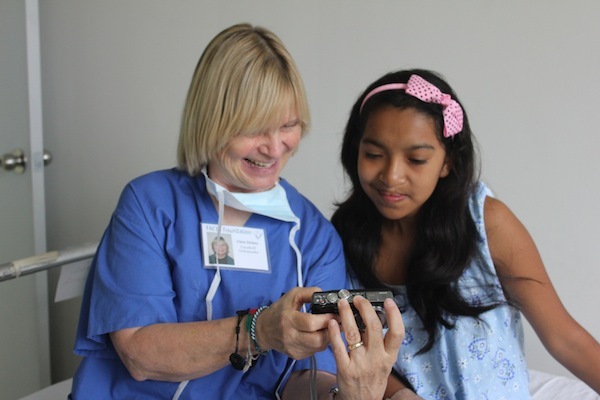 Chris conducted this interview and wrote this story about Milagros de Fatima, one of the FACES’ cleft palate patients. Milagros de Fatima is one of the most gracious 12-year-old girls I have ever met. She was born with a bilateral cleft lip and palate. 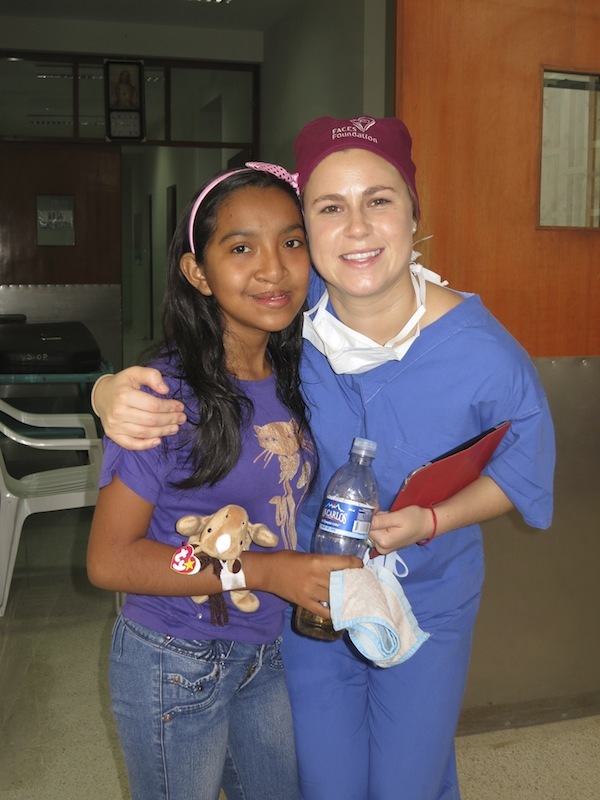 Her lip was repaired when she was 6 months old, but her palate has never been repaired. Despite her difficulty in speaking, she has amazing poise and self-confidence. She is friendly and open and sweet as can be. She loves to dance and play volleyball. And English is her favorite subject. 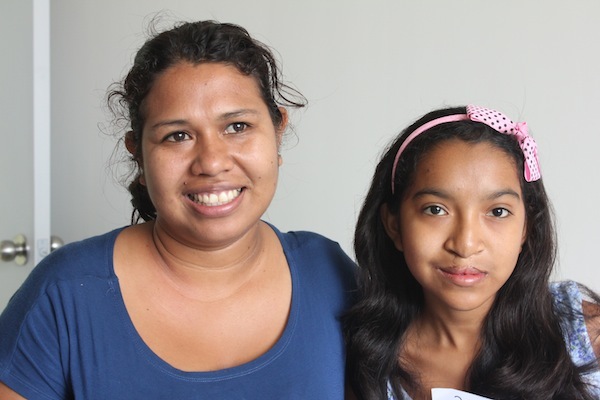 Milagros arrived at the hospital with her mother and her three doting older sisters. When I asked Milagros if they took good care of her, they assured me they spoil her. She was coming to finally have her palate repaired and she was so excited. She had attended the screening clinic in December where she met Dr. Tom and Leah. Before she left, she asked if they had a card for FACES, and they gave her one. 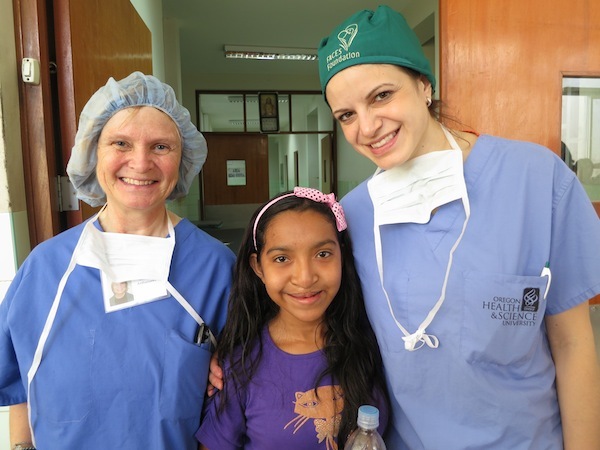 Two months later the team was back, and on the first day of surgeries, Leah excitedly reported that she had heard from Milagros on the FACES Facebook page. The rest of us couldn’t wait to meet her. Milagros is old enough to understand the stigma that can go with speech difficulties. And she is starting middle school. Although she assured me she has loving friends as well as a loving family, she was worried about the future. “The surgery will be life changing,” she knew. Without hesitation she told me, “I will be able to speak better, people will be able to understand me better, and I won’t be discriminated against.” Hers is a spirit that won’t be denied! After the surgery, her speech was already improved. With speech therapy, it will improve even more. By the time she left the hospital, she felt like a movie star, as I promised her she would. So many happy pictures and hugs and kisses. She gave me her email address, and I promised to write. If everything goes as planned, she will return to us in 3 years for a final nose and lip revision. And then – watch her go! 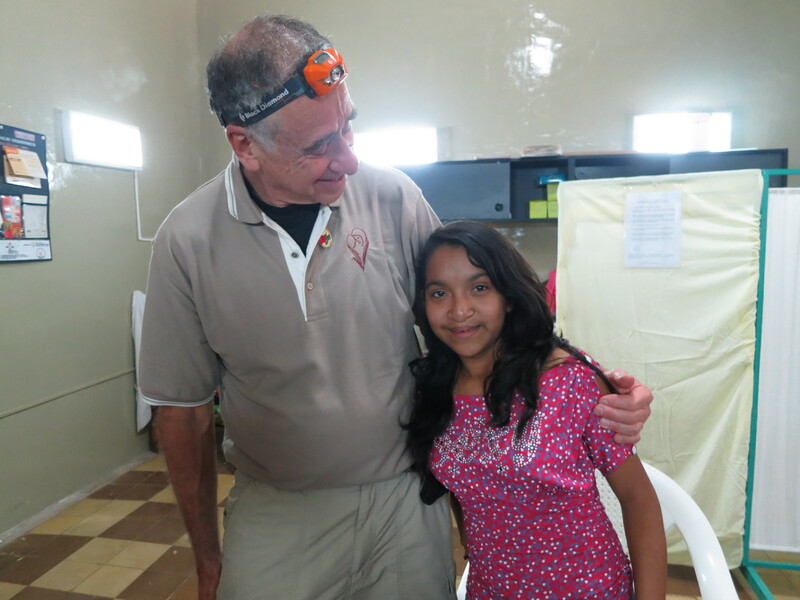 Dr. Tom with Milagros at the screening clinics in December. Leah with Milagros the day after her surgery. 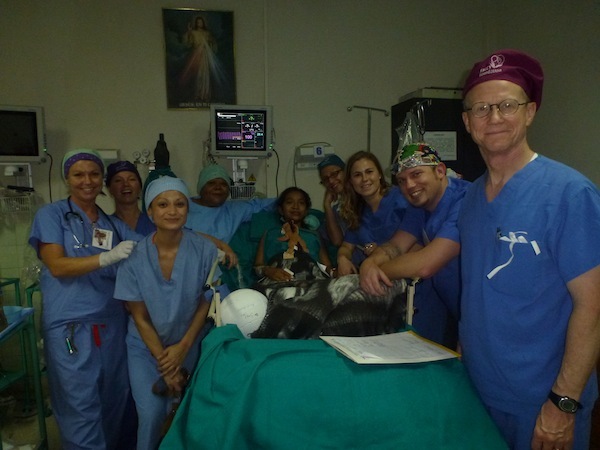 Chris, Milagros and Dr. Quintanilla-Dieck the day after Milagros’ surgery. Fantastic story! I love watching your work and feel blessed to be a colleague. All my love from the Cafe Femenino Foundation.